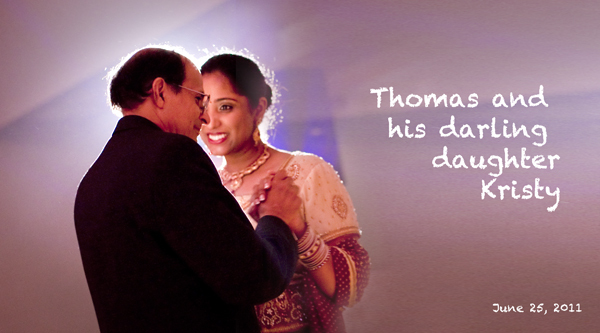 Last weekend, Murali and I had the pleasure of attending Kristy’s wedding. Kristy is the daughter of some old friends of ours. She grew up with our son. We had not seen each other for 15 years. There was such warmth in the reunion. Kristy was a beautiful bride and the day was just so filled with joy. It was a very memorable trip. Here is an image of Kristy and her Dad….